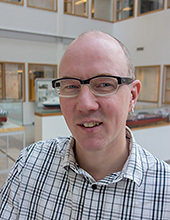 Martin Eriksson has a PhD in environmental sciences from University of Gothenburg. His research deals mainly with effects of toxic chemicals, such as antifouling compounds. There are increasing signs that the cocktail of toxic chemicals in the marine environment are adversely affecting organisms and communities. Martin’s research aims to describe how these toxicants and their mixtures in marine waters affect inherent organisms and communities, and to assess the associated environmental risks. SETAC (Society of environmental Toxicology and Chemistry) Europe, 16:th Annual meeting. There might be more projects where Martin Eriksson participates, but you have to be logged in as a Chalmers employee to see them.